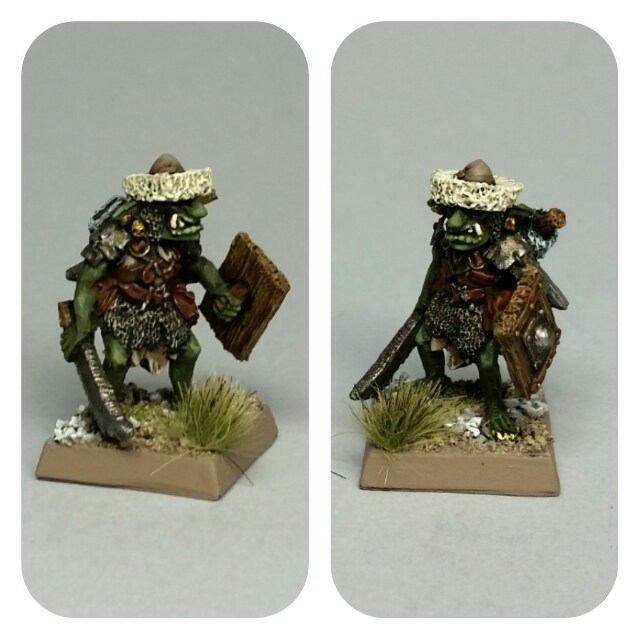 Painted some small figures. 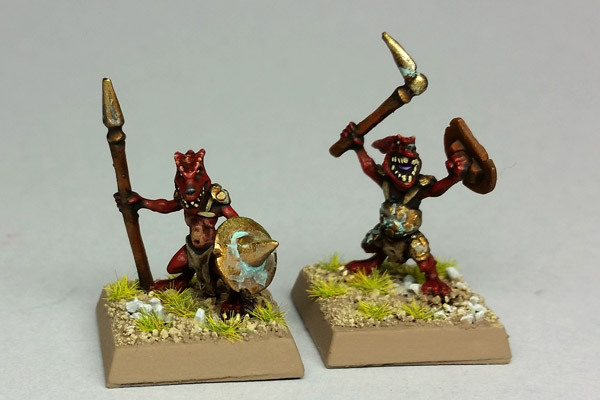 Some of the extras from the Westfalia Kickstarter rewards -- some samples of their upcoming range of kobolds, and a steppe goblin. I really like all of these! They will all work their way into Zogmar's band of misfits -- the kobolds just one of the diverse flavors of "lesser goblins." Seeing as Halloween is approaching, my wife wanted to watch some spooky movies. 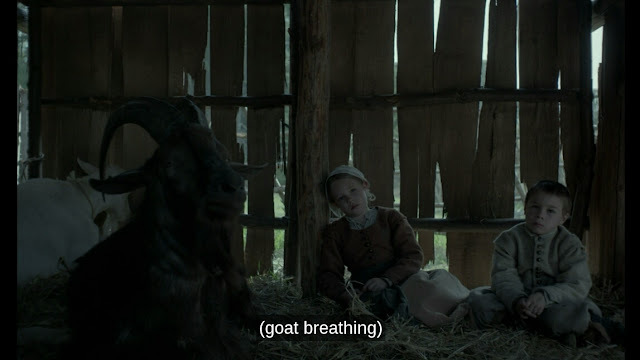 The Witch was possibly an OK-ish movie, at best, until the last scene ruined any chance it had of a positive review from me. Bleh. They look fierce and superb, well done! 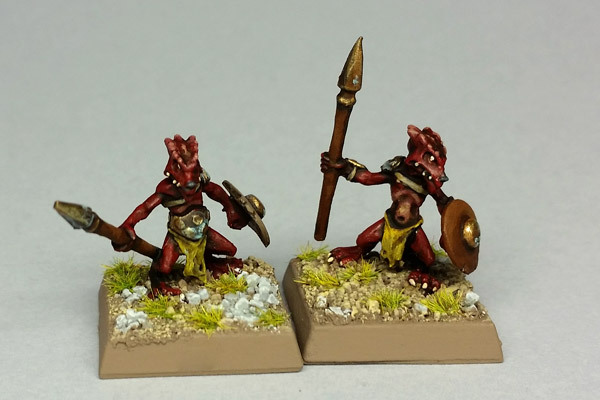 Good kobold sculpts. Are you going to make an army? I like to think that they can get "fierce" when they're in a large pack and have the advantage. A small dog attitude, I suppose.